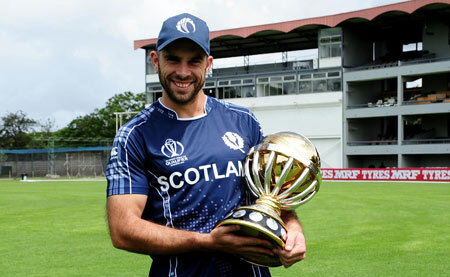 There was double cause for celebration this week as Scotland continued their impressive start to the World Cup Qualifying campaign in Zimbabwe. Skipper Kyle Coetzer shepherded his side into the Super Sixes phase with a match-winning unbeaten 88 in a tricky run chase against Nepal on a turning track. In the process he overtook Ryan Watson as his country's leading run scorer passing the 5000 runs landmark. He has made a record equalling 27 fifties in his 152-game career, and his ten centuries leaves him only behind Iain Philip who made 11.
Who would back against Coetzer overtaking that during the ongoing tournament? If he does, then Scotland could well bag one of the coveted two slots on offer for the 2019 World Cup in England. Copyright CricketEurope 2013 Stats by Cricket Statz | Last updated 09-Mar-2018.